This beautifully designed banner is part of a series that answers your seasonal needs for Christmas. 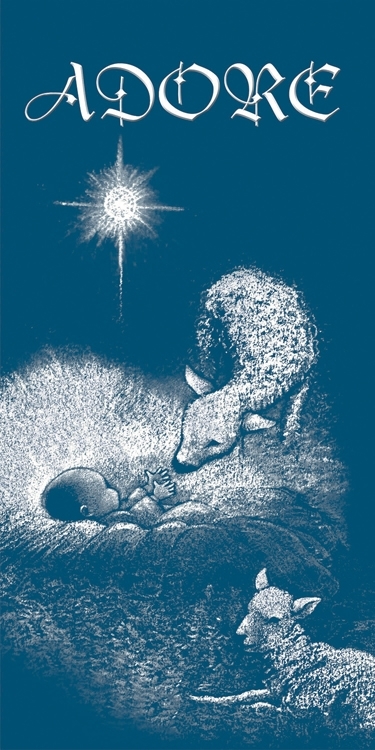 ADORE banner features images of Baby Jesus with lambs, digitally printed on canvas. Perfect for the Christmas worship services reminding us Jesus is the reason for the season. Double stitched hem and sides.